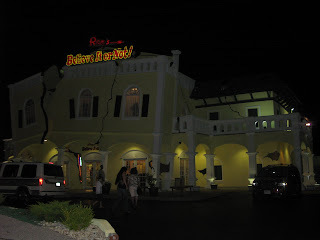 This is the Ripley's Believe it or Not museum in Branson. It's a little dark, I know ... but you get the idea hopefully. I told Aron we should build a house that looks like this since it's just cool and different. He said to wait a few years ... our house will look identical to this one if the kids keep tearing it up.